ABBA was formed in 1972, so it would be easy to assume that most of their fans were teenagers in the 70s, but you’d be wrong. The appeal of ABBA’s music truly does span generations, with some fans well into their golden years and others getting ready to head back to grade school at the end of summer. When you hear mention of ABBA, likely a song pops into your head. It could be “Waterloo” or ” Mama Mia” or maybe “Dancing Queen.” There’s even a hit Broadway show, “Mama Mia!“ that’s been adapted into a movie. It’s become the movie of choice at my daughter’s sleepovers. You haven’t really lived until you’ve had a living room full of little girls dancing like fools to ABBA. 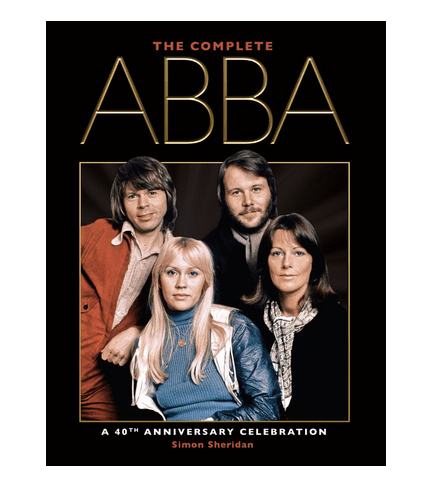 The Complete ABBA: A 40th Anniversary Celebration is both a discography and a biography of the band’s career. It lists all their songs, albums, and tours with details on where they were recorded and who was involved in their production. You’ll have a greater understanding of the complicated processes that brought their albums to light and of the challenges they faced in promoting their work. You’ll also get a look at a more personal side of the band members and see how their success affected them each individually, sometimes for better and sometimes for worse. And there are some great color pictures that will make us all feel better about what we wore in our younger days. ← iPhone Stun Gun Case — Protection or Trip to the ER Waiting to Happen?